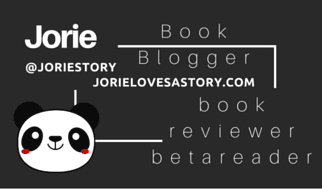 Author Interview | Jorie candidly discusses one of her *beloved! * Cosy Historical Mysteries: the Hiro Hattori series set in 16th Century Feudal Japan whilst feat. 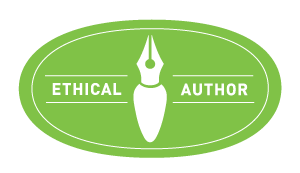 the writerly style of Susan Spann! I have the joy of bringing to you a conversation I *loved! * engaging in with Susan Spann about her convictingly brilliant Cosy Historical Mystery series: Hiro Hattori! This series has truly touched my heart over the years, as the closer we follow the life and adventures of Father Mateo and Hiro Hattori, the more we become attached to these two men who have forged an incredible friendship together in 16th Century Japan! What is most incredible in their friendship is how they come from two different cultural & religious worlds – sometimes, those differences seek to draw a wedge between them or act as a fracture of trust or respect; as they do have their moments where they are at odds. However, the beauty of the series is how each of them chooses to decide to ‘find the middle ground’, of keeping their friendship intact despite those differences and of finding personal growth through their relationship as the longer they know each other, the more their individual empathy & understanding grows. I get so dearly *excited! * whenever the newest installment is about to publish, because I know I can pick up right where I left Father Mateo and Hiro! The layered continuity is one of my favourite bits to the series, as there is an impressive central arc threading throughout the series itself. Each installment is building upon the last, grounding you into the world as it was illuminated in this niche of time and giving us a fuller grasp of what life would have been like for both of these individuals, whilst it intercepts with living history. As you will find throughout this conversation, I pulled together key insights into the background of the series, trivia about the characters (lead and supporting) and discuss key aspects of Ms Spann’s writing life as well. I loved her responses, as you get a wonderful glimpse into how passionate she is about writing the stories themselves but also, how dear the characters have become to her as well to write their adventures! I also love the hidden insights I hadn’t expected to uncover whilst getting the pleasure of joy of candidly discussing a series I find wicked #unputdownable! If your a fellow time traveller through History, who appreciates well-conceived Cosy Historical Mysteries with cunning dialogue, lush scenery, brilliant back-histories and a convicting plot threading through each of the mysteries themselves, I think you will enjoy your stay within Ms Spann’s world! The added blessing is she regionally takes us to different places throughout Japan, whilst introducing us to their regional traditions, cultural histories and religious rituals. There is a lot of Japanese lore and legend as well etched into the background which gives you a well-rounded approach to better understand this beautiful country. Remember, my interviews are best read with your favourite cuppa in hand! Series Overview: Master ninja Hiro Hattori and Portuguese Jesuit Father Mateo investigate crime in medieval Japan, from the palaces of the samurai to the colorful world of Kyoto’s theater district—and beyond. The series weaves fictional plotlines through one of the most exciting—and dangerous—times in Japanese history. I still marvel at how I came to know of the series through the second release Blade of the Samurai whilst being blessed to have read the series from the beginning in Claws of the Cat. Each step along the way my heart has felt pulled into the drama and the suspense behind how the friendship Father Mateo and Hiro Hattori have shaped their lives – there is a lot going on in the series, from a historical perspective and from the world’s point of view of where Ms Spann has alighted us into her lovely 16th Century world. Her world-building is what makes this such a keen series to feel a part of as you nearly take for granted it’s not the 16th Century each time you place yourself in step with her characters! Atmospheric conditions and climatic nuance are some of my favourite passages in novels as they reassert how fragile we are against mother nature! The intuitiveness of accurately placing us inside a thunderous storm of epic proportions is not easily done – however, when I read this passage, it felt like the conditions were growing in both dimension and severity! It is a brilliant time to have a suspicion of doubt murmuring through this closed community where the lightning and the storm rises the tension, enables the fear to thrive and allows the clues to become shadowed from those seeking them. As the hardest way to sleuth out the truth is when there is no visible reason leading you to suspect anyone of the guilt from the crime which has proposed more questions than it has answered. Even Father Mateo appears to be properly aghast over this mystery! Not just from the clear differences in religious beliefs but of why the dead in this particular instance are being depicted the way in which they are – almost as if the display of their persons is meant to trigger either a warning to those who find them or insinuate a message no one has yet surmised as being delivered. Hiro for his part is attempting to remain emotionally detached, to focus on the facts (as limited as they seem) and intuit out the rest as he’s able to gather out of his enquiries. Evenso, the foulness of the weather raging outside is impending their progress, almost as a signal all is rather grim far past what they perceive! I have the tendency to favour Father Mateo’s views on the world as in this instance, his compassionate understanding for the dire necessity for the nuns to walk to this temple was sparked out of sheer will to survive not the mark of women who were attempting to reverse sacred order! The storm itself you would think would be justification enough but after having learnt the ordeal they had survived, surely compassionate sympathy should be an innate response rather than one which needs to be learned? There are moments not just in this series but in life, where you would think people could see past themselves and accept there are circumstances outside of controlled order which lean on being sympathetic to how life does not run according to plan but rather can be altered in an instant? Ippen stole my heart – without revealling anything, it is becoming a lovely trend throughout the series where certain secondary characters or even more minor characters of influence are touching my heart! In this instance, it is how innocence and the rites of the dead can affect everyone irregardless of age or influence of wealth. We all grieve with mutual anguish and it is how we look after the dead which bespeaks the most to our humanity. I am wicked happy to lament this story is not predictable even if you know the premise through Dame Christie, Ms Spann has re-envisioned it in such a way to thread enough of a distance from the original to give us a wholly original tale which sparks its own accord for how a spree of killings can become a daunting case to solve! I was on the edge of my seat each step of the way, as despite knowing the blueprint of what was happening (as it is revealled) it didn’t lead me to draw preliminary conclusions – there is an intricacy to her stories and how she crafts her mysteries – the key reason I am drawn inside them as readily as I am – to where, I felt this was a rather sophisticated crime due to the high level of premeditation needed to carry it out! I oft see readers mentioning you can read this series out of sequence but for me, personally, I do not see how you can have an understanding of the growth of the characters nor the breadth of what the series is eluding to as each installment is a percolator of events yet to be disclosed. The relationship between Father Mateo and Hiro Hattori is duly layered and has thrived due to how each of them has chosen to forge a friendship with someone they never expected to feel a humbled connection too. If you start this series out of sequence, you would be sacrificing the beauty of living through their experiences to gleam the best insight into how the series is lovingly built around these two men! In this way, it wasn’t until I learnt of Blade of the Samurai was going on a blog tour that I decided to discover a bit more about her! In so doing, I learnt who she was ‘behind the curtain’ so to speak! I always considered her one of my ‘friends in the twitterverse’ but I never disclosed this to her until I was on the (Blade of the Samurai) blog tour in September 2014! Such serendipity as the tour brought us a bit closer and I am grateful that Twitter is a social-positive method of reaching past our distances in geography to connect to people who share a passion for the written word. We have continued to remain in touch although we do not get to ‘meet-up’ on Twitter as often as we once did due to our schedules in recent years. I am disclosing this, to assure you that I can formulate an honest opinion, even though I have interacted with Ms Spann through our respective love & passion of reading inside the twitterverse whilst attending #LitChat or in private convos. I treat each book as a ‘new experience’, whether I personally know the author, whether I am reading a book by them for the first time or continuing to read their series in sequence of publication. This also applies to hosting a guest feature by the author I share a connection. about a series which has tucked itself into my bookish heart & given me *six! * wonderfully lovely installments in which to become better acquainted with her dearly compassionate Father Mateo & her pensively reserved Hiro Hattori! Get to know her & her characters, today! Blog Book Tour | “Trial at Mount Koya” (Book No.6 Hiro Hattori novels) by Susan Spann A beautifully atmospheric #HistoricalMystery atop a sacred mountain during a harrowing blizzard lends a suspenseful backdrop to evolving drama! I asked to join the blog tour for ‘Trial at Mount Koya’ as last Summer, I was meant to participate on the tour for IGA before it was cancelled. I love celebrating this series, as despite the fact I originally received both CLAWS & BLADE on a blog tour, I am never certain which story I tip my hat to read is going to become a ‘beloved series’ of mine. Each story which touches my heart is truly a special discovery as I am quite particular about what I read and the kind the stories I hold quite dear. This Spring, when I received the book in the post, one thing happily surprised me! I was quoted on the Press Release for the first time in relation to my prior readings of the series itself! Talk about a moment where your brilliantly gobsmacked to see your quote and the words you used to fuse your thoughts to your blog in reference to how reading about Father Mateo and Hiro Hattori resonates with you directly! I was both humbled and excited knowing my words are reaching others as this lovely novel takes flight into the world and into new reader’s hearts! I received a complimentary copy of “Trial at Mount Koya” direct from the publisher Seventh Street Books (an imprint of Prometheus Books) in exchange for an honest review. I did not receive compensation for my opinions or thoughts shared herein. Whilst I am participating on the blog tour hosted by Historical Fiction Virtual Book Tours of which I am an avid hostess as Historical Fiction and the eclectic route I take through the subgenres therein is a blissitude of its own! I loved seeing Father Mateo react to Hiro’s relatives – from his grandmother to his mother to his cousin – each in turn showed a different side to Hiro but they also revealled a bit about themselves. Such as when the priest realised he was amongst those who are emotionally removed from the crime committed here because they themselves are trained for such crimes as shinboi. They have such a different life compared to the kind of life a priest would accept or understand; something he finds difficult to process time to time such as now. As he gathers information about certain aspects of what transpired he is put into uncomfortable positions to overhear things which do shock him a bit to learn. Finding Hiro’s grandmother Akiko had taken in an orphaned girl and named her Tane was an interesting twist to the main plot. Especially as Ms Spann showed how the girl could only communicate through Sigh Language – as it spoke to homegrown signs the girl devised herself and used to speak on her behalf to to the family she lost. It also pointed to the fact, those who are hard of hearing or are unable to speak were not limited to only occupying later centuries but were alive during previous generations as well. It was interesting to hear the reasons why these persons were kept from records and observations in regards to populations. Sadly this is still being practiced today – of removing marginalised persons from historical records in an ill-attempt to have them erased from our memory. Poisons are a tricky beast – they are effectively one of my favourite devices used in mysteries because of how diverse the choice of poisons are to be found irregardless of the century a story is told. In this one, what was interesting is the layers – of how one crime led to another (a near miss) and how if you looked at these from a distance, there was a layering of how someone wished harm to some but not to others; as if there was a message being carried out in the delivery of the crimes. This is how Ms Spann holds my attention – she makes me endeavour to sleuth a bit ahead of her characters – daring me to seek out the hidden threads of how everything connects giving me an intellectually robust mystery I readily find enjoyment in engaging inside. I love seeing how her mind ferrets out her secondary story-lines – of how all the pieces of each character’s tapestry is finely orchestrated to be revealled bit by bit and even then, there are surprises for us – either in their character’s heart or the will of how their perspective might change as they live through different experiences. She holds a particular attention towards detailed continuity and of evoking an enlarged sense of the wider world in which feudal Japan existed; of how all the branches of individual lives were being affected by the rise of power and of the augmentation of shifting tides of alliances therein. There is a hefty potboiler of dramatic revelation and exploration of what makes a country tick from the inside out whilst not to be overshadowed by the pursuit of a humbled priest who takes his personal mission deeply seriously as his soul’s intended journey for this life he’s led. As we weave in and out of the series, we see the landscape of Japan shifting, of how lives are being affected by the shogun currently in reign and of how even the shinobi themselves were not immune to the growing changes within their world. I am disclosing this, to assure you that I can formulate an honest opinion, even though I have interacted with Ms Spann through our respective love & passion of reading inside the twitterverse whilst attending #LitChat or in private convos. I treat each book as a ‘new experience’, whether I personally know the author, whether I am reading a book by them for the first time or continuing to read their series in sequence of publication. Master ninja Hiro Hattori and Jesuit Father Mateo head up to Mount Koya, only to find themselves embroiled in yet another mystery, this time in a Shingon Buddhist temple atop one of Japan’s most sacred peaks. November, 1565: Master ninja Hiro Hattori and Portuguese Jesuit Father Mateo travel to a Buddhist temple at the summit of Mount Koya, carrying a secret message for an Iga spy posing as a priest on the sacred mountain. When a snowstorm strikes the peak, a killer begins murdering the temple’s priests and posing them as Buddhist judges of the afterlife–the Kings of Hell. Hiro and Father Mateo must unravel the mystery before the remaining priests–including Father Mateo–become unwilling members of the killer’s grisly council of the dead. Susan Spann is the award-winning author of the Hiro Hattori mystery novels, featuring ninja detective Hiro Hattori and Portuguese Jesuit Father Mateo. Susan began reading precociously and voraciously from her preschool days in Santa Monica, California, and as a child read everything from National Geographic to Agatha Christie. In high school, she once turned a short-story assignment into a full-length fantasy novel (which, fortunately, will never see the light of day). Susan is the 2015 Rocky Mountain Fiction Writers’ Writer of the Year, a former president of the Northern California Chapter of Mystery Writers of America and a member of Mystery Writers of America, Sisters in Crime (National and Sacramento chapters), the Historical Novel Society, and the Rocky Mountain Fiction Writers. She is represented by literary agent Sandra Bond of Bond Literary Agency. When not writing or representing clients, Susan enjoys traditional archery, martial arts, photography, and hiking. She lives in Sacramento with her husband and two cats, and travels to Japan on a regular basis. In 2018, whilst under contract with Prometheus Books, Ms Spann is travelling throughout Japan to climb the #100Summits. She blogs her mountaineering adventures, shares her photography on both Instagram and Twitter and is writing the book which will debut in 2020 under the tentative title: 100 Summits.